Welcome to your 5-star second home. You have found your ideal Parisian address, just metres away from the Arc de Triomphe. 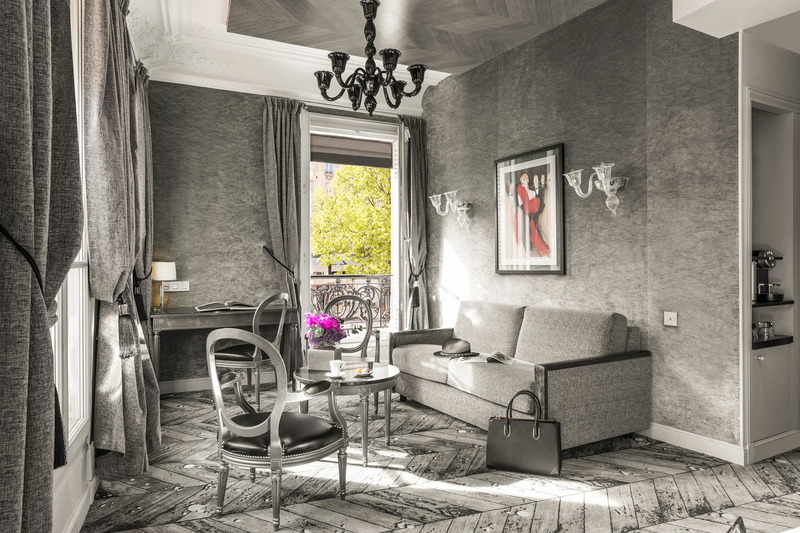 Here, in the beating heart of Paris, the art of French hospitality meets timeless elegance. This dream location gives you the freedom to explore the capital city, including its fashion boutiques and museums. 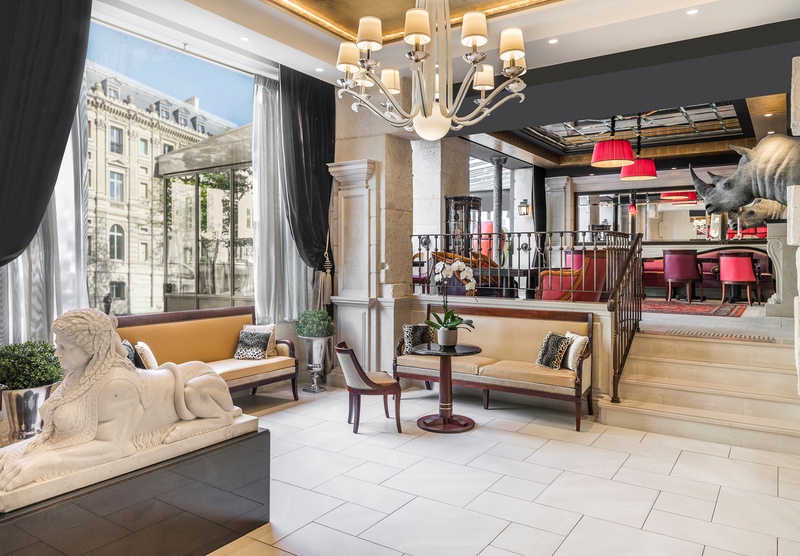 During your stay in this majestic Haussmannian building, experience what it’s like to live the dazzling and sublime life of a Parisian. Enjoy the calm in the heart of Paris. 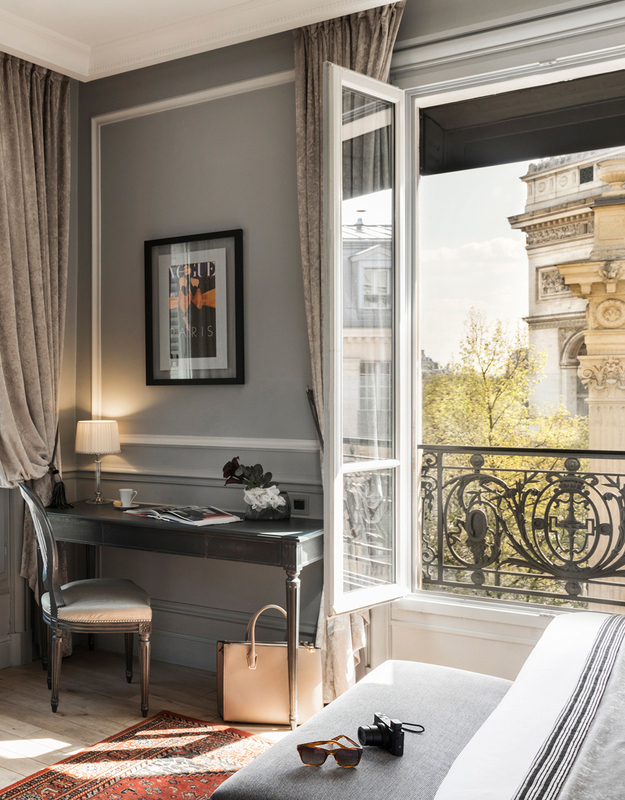 Take refuge from the city’s frenetic pace and choose your tranquil haven combining traditional Parisian style with a touch of modern luxury. 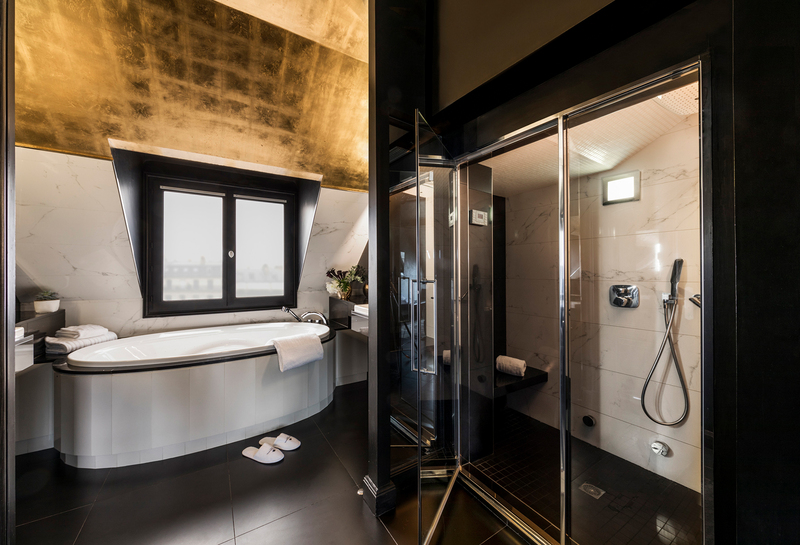 Take in the exceptional view of the Arc de Triomphe from your room or from the glass-roofed bar. 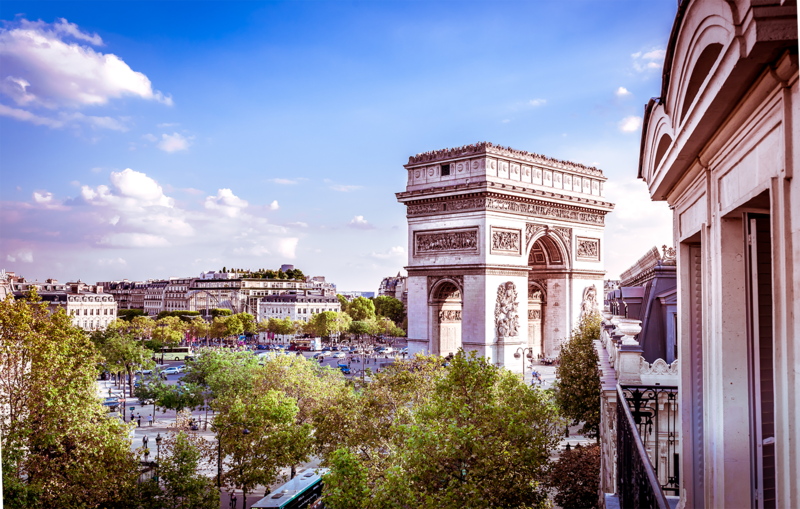 Strolling along gorgeous cobblestone streets mere steps from the Champs-Elysées, you’ll be inescapably immersed in the refined, grandiose atmosphere of Paris.